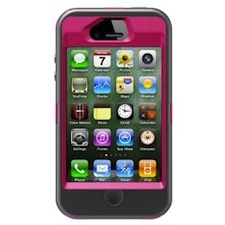 OtterBox Defender iPhone 4/4S Case 60% Off! If you need a quality case to protect your iPhone from damage, an OtterBox case is the way to go! Right now, the OtterBox Defender Series Hybrid Case & Holster for iPhone 4 & 4S (Peony Pink/Gunmetal Grey) is marked down to only $19.89 on Amazon. That’s 60% off the list price of $49.99! The price stated above was valid as of 11:39AM CST on June 28, 2012. Prices and availability are subject to change at any moment. Please confirm the price before you complete your order. Thanks Saving the Family Money!